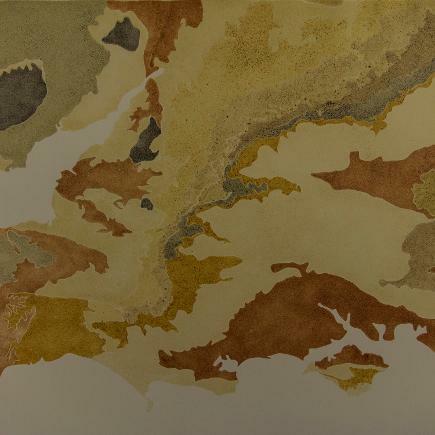 The Leverhulme Artist in Residence in the School of Earth Sciences at Bristol University 2015. 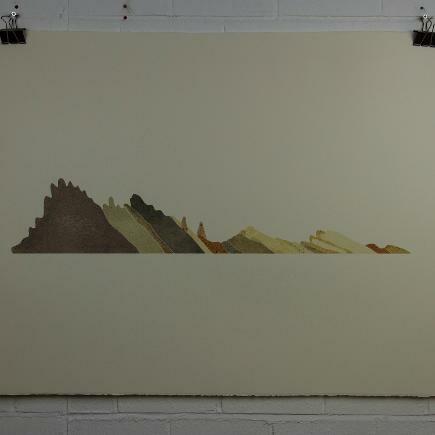 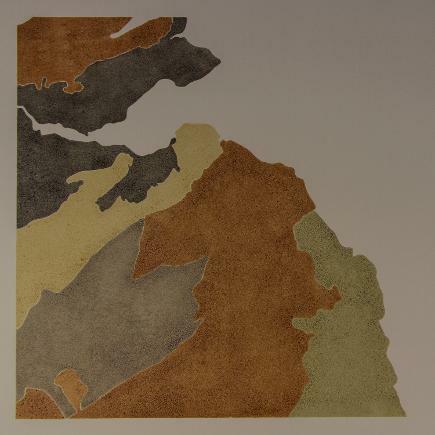 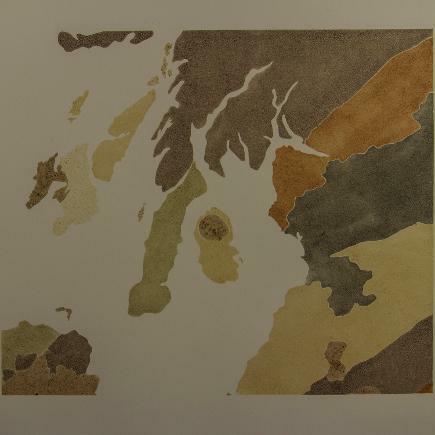 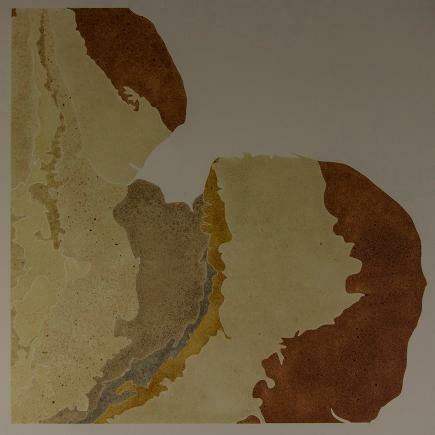 Rodney produced a series of prints exploring the use of crushed rock, clays and minerals as printing inks. 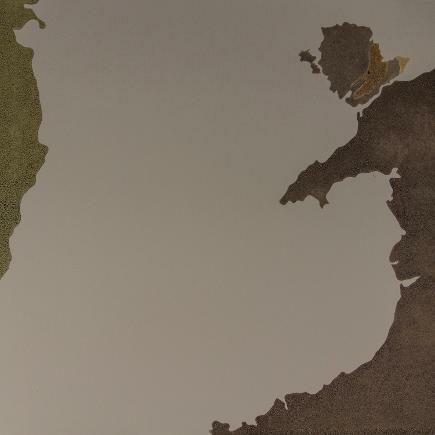 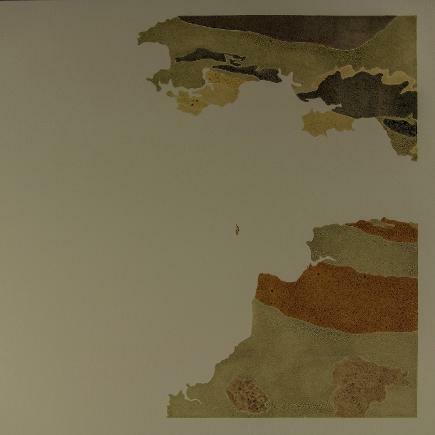 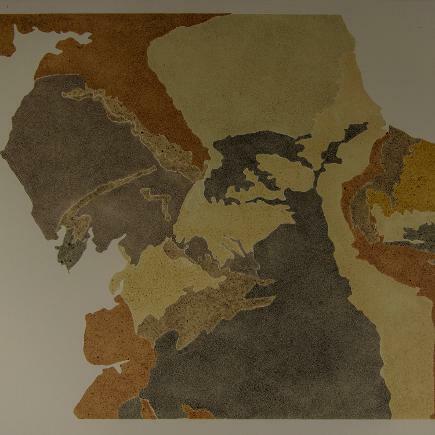 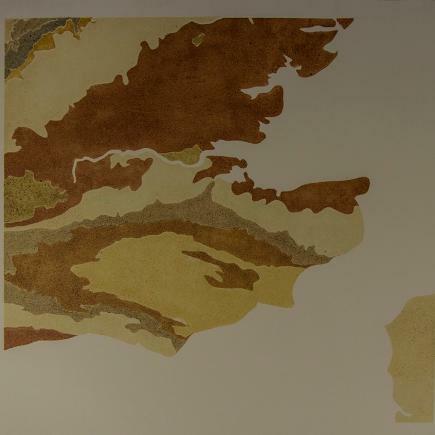 The images below show a map, made of fifteen individual prints, to commemorate the bicentennial of the first geological map of England and Wales by William Smith in 2015. 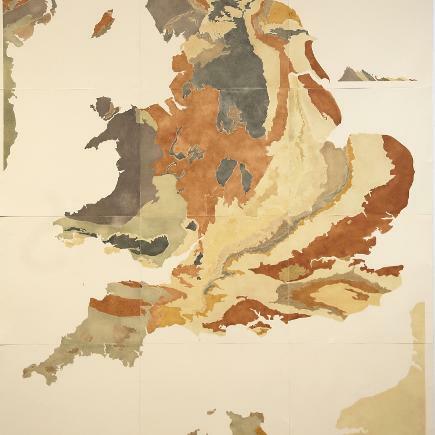 The map now hangs in the Earth Sciences common room at the Wills Memorial Tower, Bristol University, on permanent display. 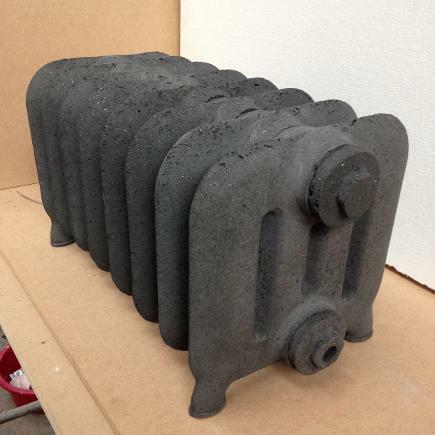 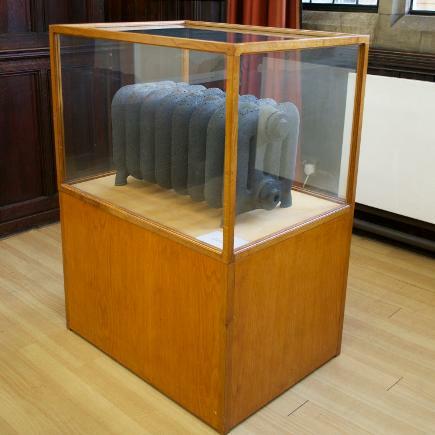 "Radiator", cast from Somerset coal. 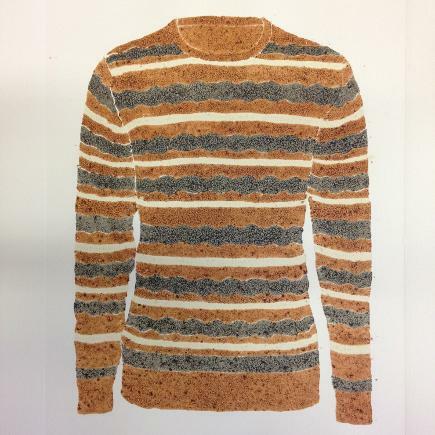 A print of a rock jumper inspired by the cliffs at Watchet in Somerset, Blue Lias, Gypsum and Red Marl.